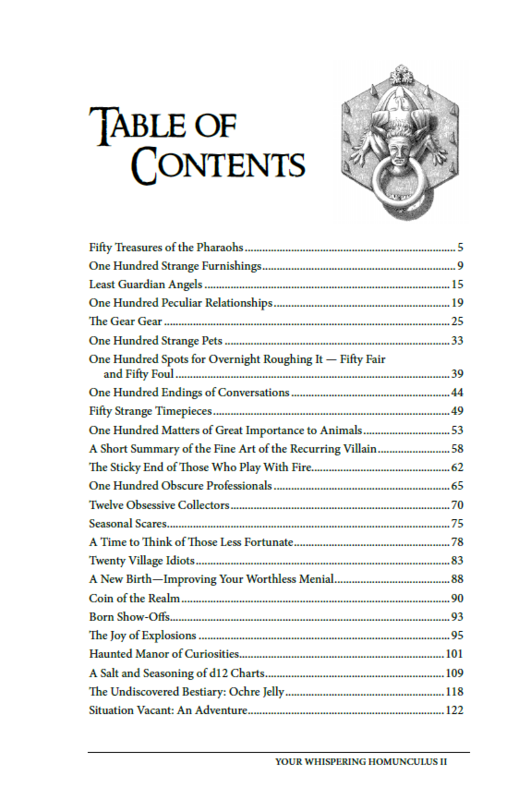 More Oddities and Disturbing Bits of Whimsy Ahead! Master Richard Pett takes us on a tour of the bizarre, the curious, and the strange in More Whispering Homunculus. 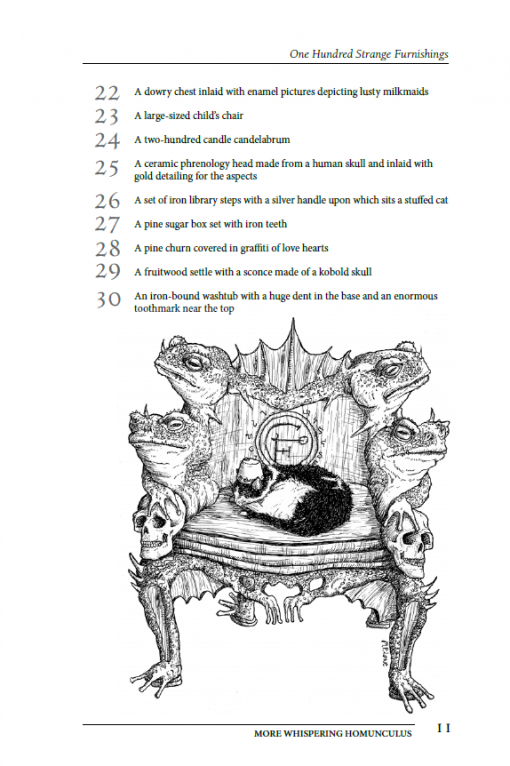 Within you’ll find a multitude of weird charts that provide you with strange timepieces, unusual locations for overnight camping, extraordinary pets-among so many other things! 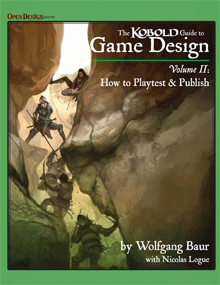 Additionally, Wolfgang Baur and Miranda Horner grant you a look at explosions and supernatural activity, respectively. 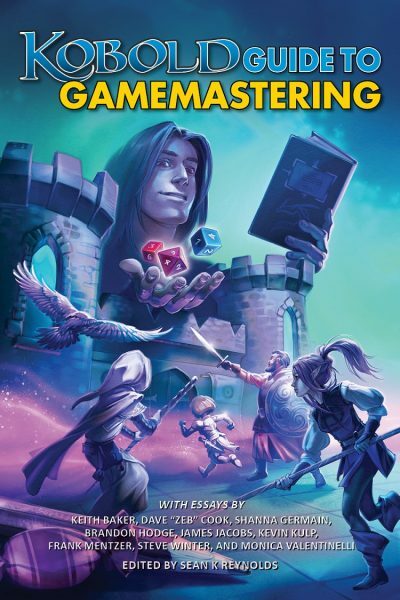 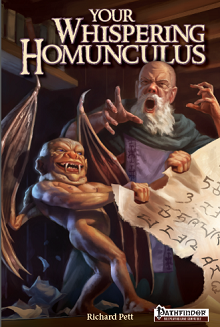 And finally, you’ll venture into the world of the Master with an adventure that allows players to portray hapless homunculi who seek a position. 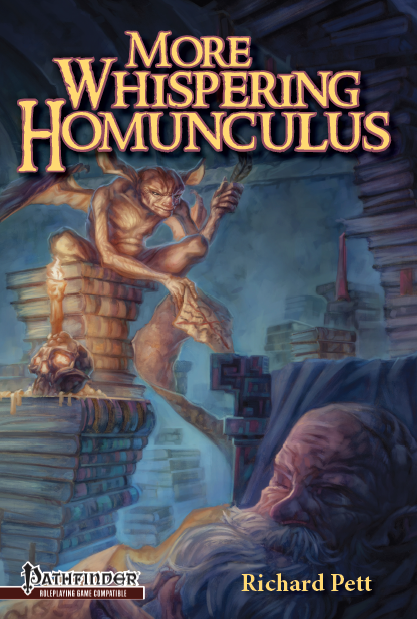 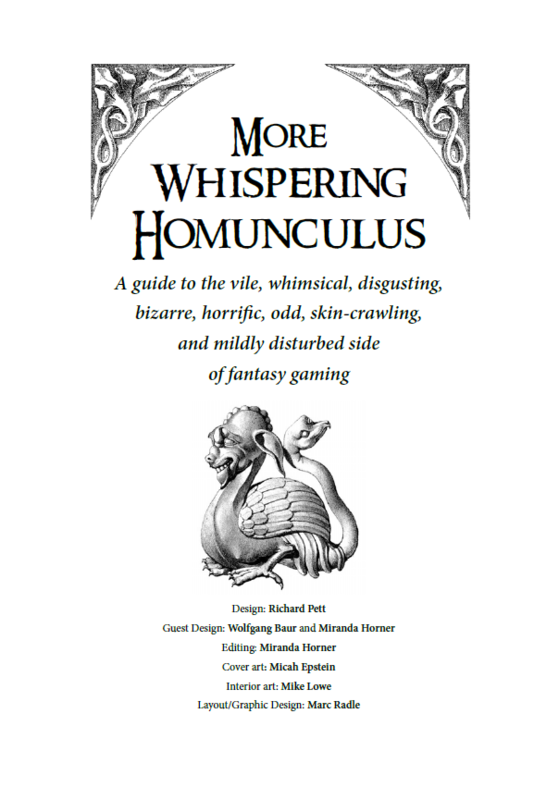 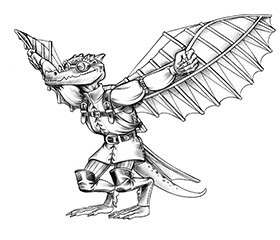 Whether you need a nugget of outlandish inspiration for your game or wish to run an odd little adventure, More Whispering Homunculus delivers!